If you suffer from lactose intolerance, you’ll know only too well how disruptive the symptoms can be to everyday life. Bloating, abdominal cramps, nausea, and/or diarrhoea can be enough to put you off milk products altogether. But now there’s a light at the end of the tunnel. A growing body of evidence is emerging to suggest that probiotics, some of which are commonly found in milk products such as yogurt, may alleviate the troublesome symptoms of lactose intolerance. Lactose intolerance arises when we don’t have sufficient levels of the enzyme needed to digest lactose, the sugar naturally present in dairy products. Undigested lactose passes into the colon where bacteria break it down into short-chain fatty acids and gas – and that’s when we become painfully aware of the problem. Lactose intolerance is common whatever your ethnic origins but Asian and African people seem particularly prone to it: 50-90% of these populations suffer from lactose intolerance compared with 5-15% of Europeans and North Americans. In efforts to ease this heavy burden of lactose intolerance, researchers have focused their attention in recent years on probiotics – the bacteria and yeasts that can be used to supplement the trillions of tiny life forms that inhabit our intestine: the gut microbiota. Probiotics are live micro-organisms that, when administered in adequate amounts, confer a health benefit on the host. Not only can they help our gut health, but they’ve also been associated with several other benefits, including boosting our immune system and reducing cholesterol in our blood. 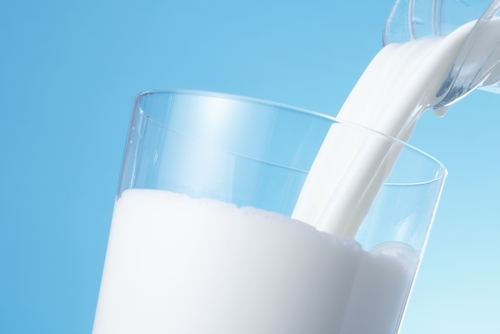 How can probiotics help in lactose intolerance? Probiotics also give our gut a helping hand in digesting lactose, and so they’re the obvious choice when it comes to searching for solutions to lactose intolerance. Probiotics can reduce the concentration of lactose in fermented products such as yogurt, and increase the activity of the enzyme which breaks down lactose, that enters the small intestine with the fermented products. The authors of this article reviewed 15 key studies looking at the role of probiotics in alleviating symptoms of lactose intolerance. They assessed eight strains of probiotic bacteria – mostly from the Bifidobacterium and Lactobacillus types – with the most proven benefits. Their review revealed that the effects of these probiotic strains varied widely across the studies but overall, a positive relationship was seen between probiotics and lactose intolerance. ‘Results showed varying degrees of efficacy but an overall positive relationship between probiotics and lactose intolerance.’ – Oak SJ et al, 2018. Of the eight strains assessed in this review, Bifidobacterium animalis was among the most researched and most effective against lactose intolerance. Five out of the six studies analysed showed B. animalis to have potential in treating lactose intolerance symptoms. Two bacteria found in yogurt are the lactic acid bacteria Lactobacillus bulgaricus and Streptococcus thermophilus. They play several important roles in our digestive tract. For example, L. bulgaricus increases the acidity inside the gut and this helps protect against pathogens. By breaking down lactose, S. thermophilus has been shown to make it easier for people with lactose intolerance to digest dairy products. Of the studies in this review, one found that consumption of fresh yogurt containing live L. bulgaricus and S thermophilus was associated with benefits in people with poor lactose absorption compared with yogurt that had been heat-treated to kill the bacteria. Four further studies also showed that L. bulgaricus could reduce the symptoms of lactose intolerance. Similarly, there were some positive results for S. thermophilus, but some other studies did not find benefits of supplementation with these two bacteria. Analysing these results, the authors point out that it’s essential to understand the importance of variations in concentrations and preparations of probiotics used, and to have consistent ways of measuring their effects. They conclude that further clinical studies are needed to assess the roles of specific probiotic strains and concentrations, and to discover the mechanisms through which they may exert their effects. ‘In order to elucidate the potential therapeutic relationship between probiotics and [lactose intolerance], new strategies concerning specific strains, concentrations, and preparations of probiotics must be developed.’ – Oak SJ et al, 2018. Source: Oak SJ, Jha R. The effects of probiotics in lactose intolerance: A systematic review. Crit Rev Food Sci Nutr. 2018 Feb 9:1-9. How lactose intolerance perception may affect your sense of well-being?